There have been murmurs in the video game community about Microsoft’s secretive Xbox Project Scorpio for some time. Is it a completely new console? Or is it an update of the current Xbox One? Not every question has an answer quite yet, but the company did reveal some details that have many gamers excited. 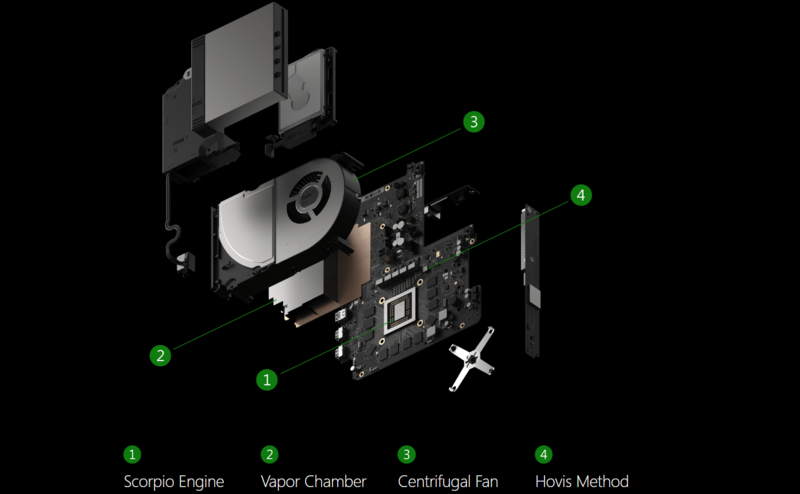 Here’s a look at what Microsoft’s early plans are for Project Scorpio and what it might mean for the future of the home gaming market. While we don’t know what the Project Scorpio console will look like or when it will be released, Microsoft has released some specs for the new console to whet gamers’ appetites. The specs are certainly impressive. Let’s start with CPU. Project Scorpio uses eight x86 cores that produce speeds up to 2.3GHz. That compares to 2.1GHz for Sony’s current PlayStation 4 Pro and 1.75GHz for Microsoft’s own Xbox One. Project Scorpio has 12GB of memory versus 8GB for both PS4 Plus and Xbox One. Its memory bandwidth is 326GB per second, well ahead of PS4 Pro’s 218GB and Xbox One’s 204GB per second. The upcoming console sports a 1TB hard drive, which isn’t all that groundbreaking. The PS4 Pro has a 1TB hard drive, and some versions of the Xbox One have 2TB hard drives. Finally, Project Scorpio’s optical drive is a step up. It has a 4K ultra-HD Blu-ray drive versus a standard Blu-ray drives for PS4 Pro and Xbox One — the Xbox One S also has a 4K UHD drive. While the specs for Project Scorpio are certainly beefy, some people are skeptical it will be enough. There are a couple of main reasons for this. First, Project Scorpio’s specs are great news for those interested in virtual reality gaming, which seems poised to be the next big trend in gaming. When it comes to VR, the more power the better, and Project Scorpio looks to be plenty powerful. The problem is that Sony has a huge head start in the VR market, selling nearly a million of its PSVR systems to date. Microsoft would not only have to catch market leader Sony, but the 420,000 HTC Vive and 243,000 Oculus Rift systems sold as well. Even though Project Scorpio’s specs look promising, many questions remain unanswered. Those answers will go a long way toward determining the success of the new console. The most obvious question — How much will it cost? Speculation is all over the board here. Last year, Xbox head Phil Spencer said the price of Project Scorpio will reflect a “premium console,” leading some to believe it could cost as much as $600 or $700 at launch. Even if its launch price is $500, the same as the original Xbox One, that may be a bit on the high side for many consumers. Another key question is just how big a role VR will play with Project Scorpio. Many gamers are gravitating toward VR, and the system’s specs seem to support it. Microsoft hasn’t said much yet about what its VR plans are as they relate to Project Scorpio. In the end, what we know so far about Project Scorpio is impressive. Its specs alone blow anything we’ve seen out of the water. It’s what we don’t know, including when it will roll out, that will determine whether Microsoft’s latest console will be successful or not.